Oh boy! I am drooling over the food, especially the curry! And your description makes me drool even more! As usual - loved your post. South Indian food is the best!! Have fun in the bay area. Good review as always. 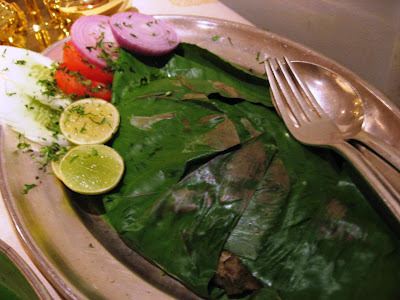 I realized one thing, Shantanu, that the Manji Kolavaithina (whole white pomfret marinated with green chilly, ginger, lemon which is wrapped in a banana leaf and baked) is very similar to that famous Parsi dish Patra Fish. Isn't it interesting to see how a recipe travels from one place to another and consumes the flavor of that particular region/state/culture! I also wonder if anybody would take the pain of preparing a food map or road map for a particular recipe, as in where did it originated, traveled and developed across regions. @Final Transit, @Vamsee: Thank you. @Vijayendra: Hmm, that's interesting. 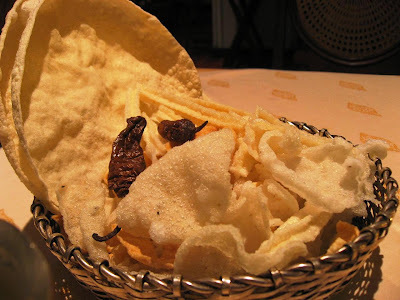 Yes, the history and proliferation of Indian cuisine does interest me very much. Very nice review. The food in all the Dakshin's are amazing. I found it very tasty both in Mumbai and Bangalore. 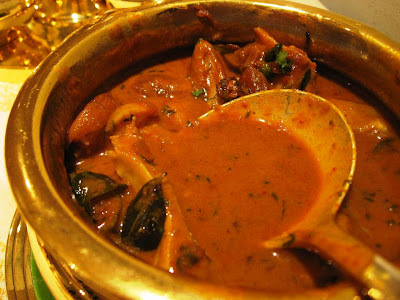 Oh my, now you've got me drooling, that fish curry and the fish in banana leaves especially! 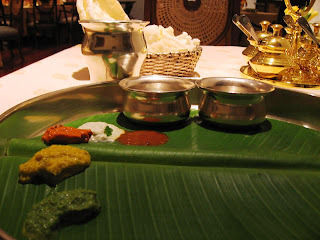 @Rajesh: Yup, I love Dakshin. This time they had a special menu for the week, so these dishes are outside of their regular menu. @Sig: Yes, tasted great too! wow..what a lovely feast...you have a wonderful space here..nice reading abt the other reviews! @Srivalli: Thanks and welcome here. 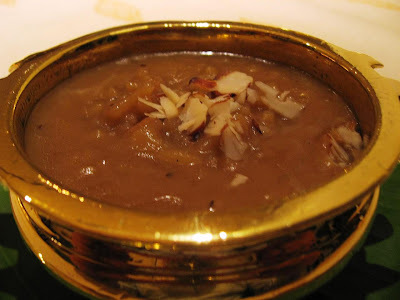 Nice blog to know about south indian food. 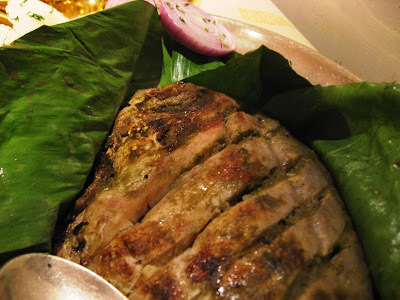 Patrani Machchi has a lesser use of lemon whereas Manji uses more lemon, strictly a local preference..something like what mustard is to Bengali fishes! @Indraneel: This is useful information. Thanks!